de Rooij, S, & Vitányi, P.M.B. (2012). 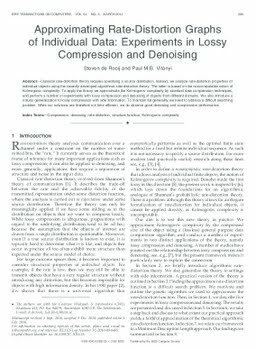 Approximating rate-distortion graphs of individual data: Experiments in lossy compression and denoising. IEEE Transactions on Computers, 61(3), 395–407.